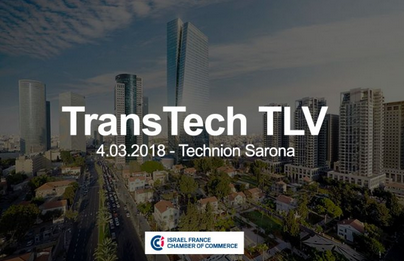 The Israel-France Chamber of Commerce, and its President Prof. Daniel Rouach are pleased to invite you to the 8th edition of TransTech. TransTech is an international conference on Technology Transfer, gathering every year French and Israeli leading companies, innovative start-ups, experts and academic speakers. Among distinguished guests, Dr. Reuven Bakalash, CEO of the Israeli company Adshir, will present his groundbreaking innovation: LocalRay real-time ray tracing algorithm, which will allow gaming professionals to achieve total photorealism. “France is back” declared Pres. E. Macron on January 24 in Davos. Is France back to Israel? Why an increasing number of French companies open labs and develop new technologies in Israel? What do they bring to the Israeli ecosystem? How technology is transferred from research centers to French and Israeli entrepreneurs? What are the opportunities for French investors? In the context of the Brexit, is France the access to the European market (17 trillion $) for Israeli tech companies? How technology is transferred from research centers to French and Israeli entrepreneurs? Przemyslaw Paczek – HyperPoland CEO (Kosminski University Varsovie).